A fire broke out at the Statue of Liberty Museum construction site on Monday, forcing 3,400 people to evacuate New York’s most famous tourist attraction, reported CBS News. The incident occurred on the north side of Liberty Island where the 26,000-square-foot museum, designed by FXCollaborative, is currently being built. 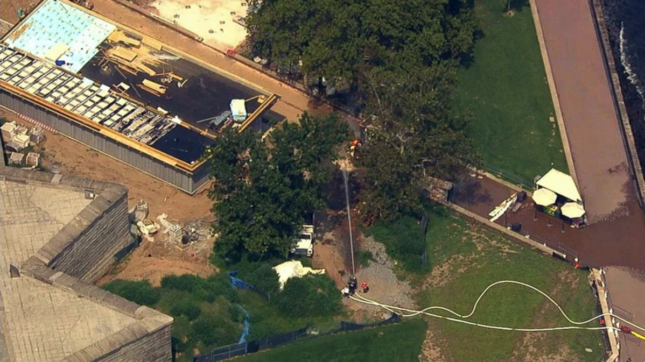 According to the FDNY, three 100-pound propane tanks caught fire around noon yesterday where a new security screening facility is under construction. Work was being done on the roof of the building, which sits about 200 feet from the base of the statue, during the time of the fire. None of the tanks exploded due to the accident but one construction worker was injured. It took firefighters two hours to contain the flames. 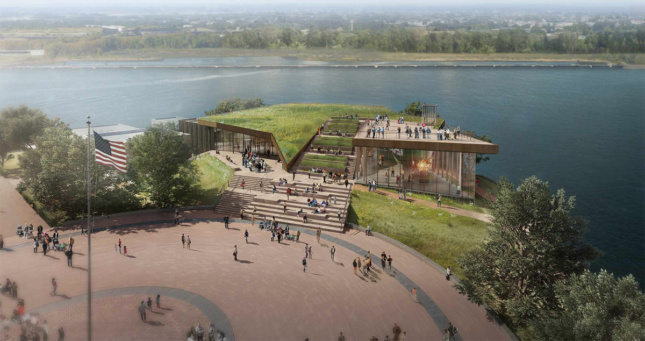 Set to open next May, the $70-million museum is being developed by the Statue of Liberty–Ellis Island Foundation, the National Park Service, and the U.S. Department of the Interior. The existing museum, which is laid out inside the statue herself, can’t accommodate the number of tourists the site sees per day. 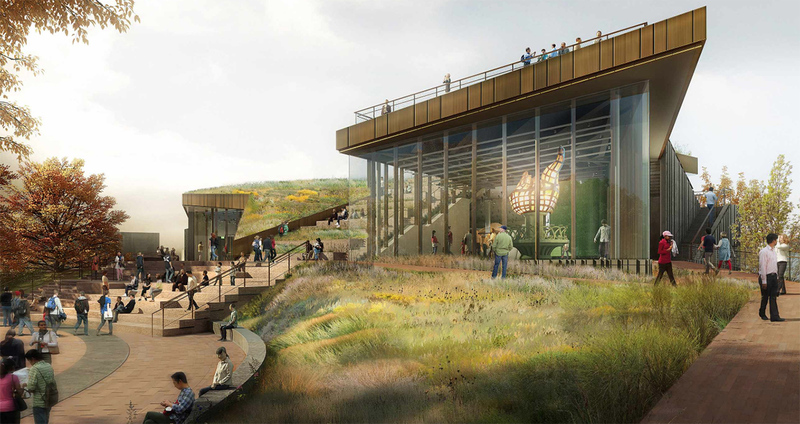 The new expansive design will be able to hold over 1,000 visitors per hour and will include three gallery spaces covering 15,000 square feet of the facility along with an outdoor plaza and a green roof that doubles as a terrace overlooking the monument. The museum will also sit above 500-year flood levels and feature exterior materials that can withstand hurricane-force winds and inclement weather. As of 2 p.m. Monday, the island opened back up to visitors and work resumed on the scene. The site has been under construction for just over a year by Phelps Construction Group and is on track for a spring 2019 opening.